The White River offers a variety of fishing opportunities. To target big trout, most anglers throw unusually large streamers on rods that would normally be associated with steelhead and saltwater fly fishing. Anglers wanting to catch a large number of fish might prefer nymph fishing. Winter months in Arkansas is setup perfect for the anglers that love to streamer fishing and the hunt for BIG BROWNS! 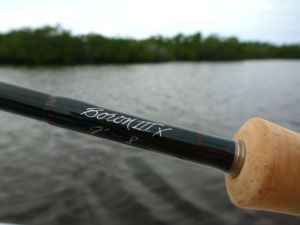 Our typically setup for streamer fishing is a 9′ 8wt with a 24′ 300 grain stink tip and 5-8″ long streamer. In these winter months the White River is noted for some higher water due to power generation in the cold weather. This is prefect for our big flies. At times there is low water periods and then its time to break out the 9′ 4wt with 5x and 6x tippets and lots of midge and scud patterns. Euro Nymphing rods can be good here too. We typically use a tapered leader with a thingamambobber or other indicator. Nymphs with tungsten beads get down fast and can be especially productive. Low water periods also sets up well for night time mousing and streamer fishing. If you’ve never tried mousing for trout, you owe it to yourself to spend a night out with us chasing big browns. This is the boat I will be using this year and it is just the prefect boat for the big White River – 21′ x 60″ Topwater Boat with 60/40 jet on the back. Rows great, extremely comfortable to fish from and goes fast to cover lots of water in a day.